In this post, Dr. Richard Polsky Ph.D., a Mississippi dog bite expert, offers expert opinion about a dog bite inflicted to an innocent bystander by a police dog at a crowded LSU-Mississippi State football game on October 3, 2015. This dog bite incident involved a professional photographer at the game in a work capacity. The photographer was attacked and bitten on the thigh when he came near the dog, possibly as he was running. The dog was tied and laying very close to fans who were clogging the entrance to a photo work room which the photographer was using. The dog, a 12-year-old German Shepherd, was brought to the game by his handler as a bomb detection dog. First, I believe it was negligent for the handler to tie his dog near a crowd of people. Given the circumstances, it should have been foreseeable to the handler that people would be moving past the dog in a hurried manner. This kind of stimulus (a movement which triggers innate predatory tendencies), has the potential to elicit an aggressive reaction in many dogs, but particularly police dogs. Note that police dogs receive specialized training to attack and apprehend suspects fleeing from police. This police dog may have been brought into the stadium for bomb detection work; however, it’s likely that the dog was also trained in suspect apprehension. Most police dogs are “multi-taskers” in that the same dog is usually used for different tasks: i.e. bomb detection, drug detection, tracking and suspect apprehension. My opinion as a police dog expert is that multitasking training compromises the skill set of a police dog for any given task. Also, it should be noted that police service dogs are usually taken out of service when they reach eight or nine years of age. A 12-year-old German Shepherd is very old relative to the breed, and this dog’s sensory capacities may not have been functioning well. Police dogs trained in suspect apprehension are prone to behavioral error. Examples include attacking innocent bystanders, attacking without command from the handler, and failing to stop an attack once commanded to do so. I direct the interested reader to other sections of this website where I have written about the unreliable and dangerous nature of police dogs. 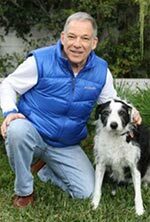 Richard Polsky, Ph.D. is available as a police dog bite expert. Dr. Polsky will consider assignments for Mississippi dog bite attorneys, particularly those handling police dog attacks. More information about the background of Dr. Polsky can be found on his curriculum vitae.